Like Mary, we don't know fully what we are committing to do, but we know that our ultimate destination is Jesus. Oh, my dear children! I feel as if I'm going through labor pains for you again, and they will continue until Christ is fully developed in your lives (Galatians 4:19 NLT). When Donna and I were having our first child, I tried to reassure my precious wife about the pains of labor. Bad move! First, I would never "get" to experience these pains. Second, I had no basis on which to reassure her. Third, her labor was much worse than predicted because she was in transition (the worst of labor pains) for nearly 8 hours. I will never, ever, use an analogy comparing my pain to a woman's labor pains — not even after delivering two kidney stones! Paul, however, wasn't so shy. He agonized over Jesus being born into the lives of unbelievers and being fully formed in the lives of Jesus' disciples (Galatians 4:19; Colossians 1:28-29; 2 Corinthians 3:18). When we realize all that Paul endured while sharing Jesus with people all over Paul's world (Colossians 1:24-26; 2 Corinthians 11:21-28 [NOTE]), we understand how he could get away with the analogy of labor pains… even as an unmarried man. 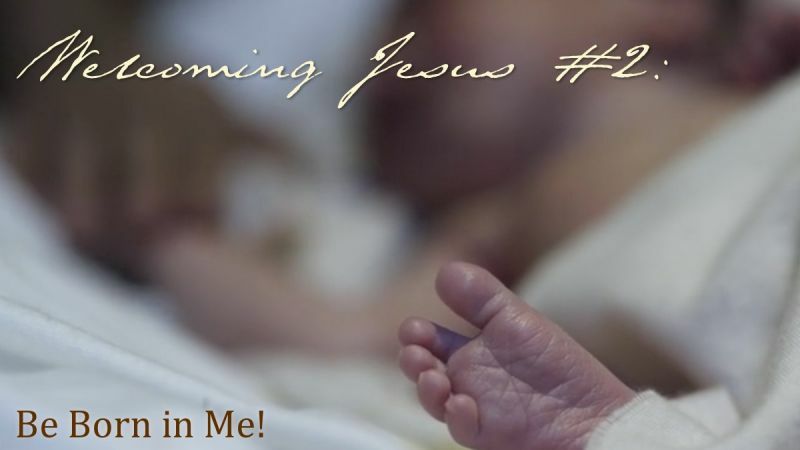 For Christ to be "fully developed" in us, he must first be born in us. Christ, our assured "hope of glory" (Colossians 1:27), must be born into our hearts and our lives must be rooted in him (Colossians 2:6-7). "The virgin will conceive and give birth to a son, and they will call him Immanuel" (which means "God with us"). When Joseph woke up, he did what the angel of the Lord had commanded him and took Mary home as his wife. 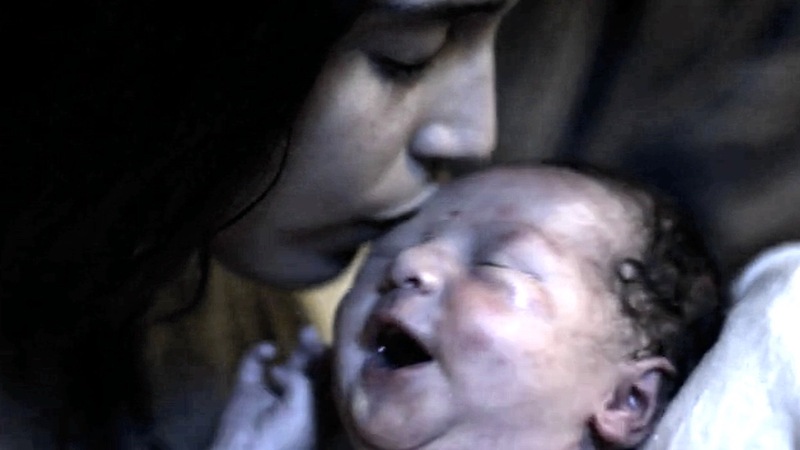 But he did not consummate their marriage until she gave birth to a son. And he gave him the name Jesus (Matthew 1:18-25). When Mary accepted God's holy and creative work to conceive his Son into her womb through the work of the Holy Spirit (Luke 1:38), she committed herself to far more than the pains of labor. Jesus changed everything in her life. Mary knew there was no way for other people to understand how she became pregnant. The assumption by those who knew her was that she played the whore and stepped out on Joseph. Then, she had to wonder if Joseph would believe her and still marry her? (He later did.) Would either of their families accept them and their new baby? No! No family would take them in or even claim them in Bethlehem when Jesus was born — no one would make room for them to have their baby in the home city of both of their families. 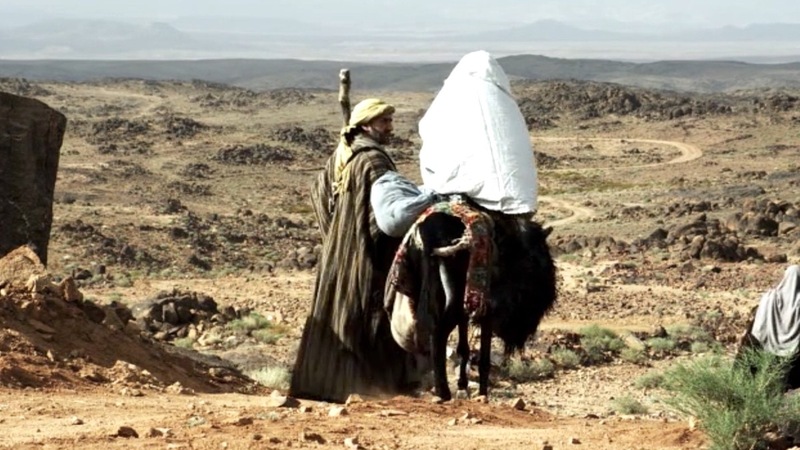 Mary and Joseph accepted a life on the edge of adventure and disaster. Herod would try to kill her son at birth. His grandson would approve his death three decades later. In between, we find Mary giving birth to Jesus in a stable and placing her newborn in a manger. Joseph had to escape with them to Egypt to avoid Herod's murder of babies. On their eventual return home, they received no warm welcome. Years later, ridicule for their son, Jesus, persisted in the slur that Jesus was "Mary's boy" — indicating the community's doubts that Joseph was Jesus' real father (Mark 6:3). In addition, Mary and Joseph had no manual to help them raise a child who was both God and man. Jesus' brothers didn't believe in him (John 7:3-5) until after his resurrection. Jesus even mildly rebuked his mother for trying to push him into doing miracles too soon (John 2:1-4). Jesus also said things about his family that had to sting their hearts (Matthew 12:46-50). At times, Jesus' family would even think he was "out of his mind" because he was so focused on his ministry (Mark 3:20-21). In the one extended family moment we read about in Scripture, Jesus embarrassed his parents by staying behind in Jerusalem when the family entourage had already headed back home (Luke 2:41-45). And none of this could have prepared Mary to endure the constant rejection of her son by the religious authorities, his scourging before Pilate, his walk to Golgotha, and the humiliation and shame of the cross. Why remind us of this at Christmas time? We must hear the truth about Jesus' birth to keep us from relegating the birth of Jesus to a sentimental and seasonal children's story that we safely file away until the next year. 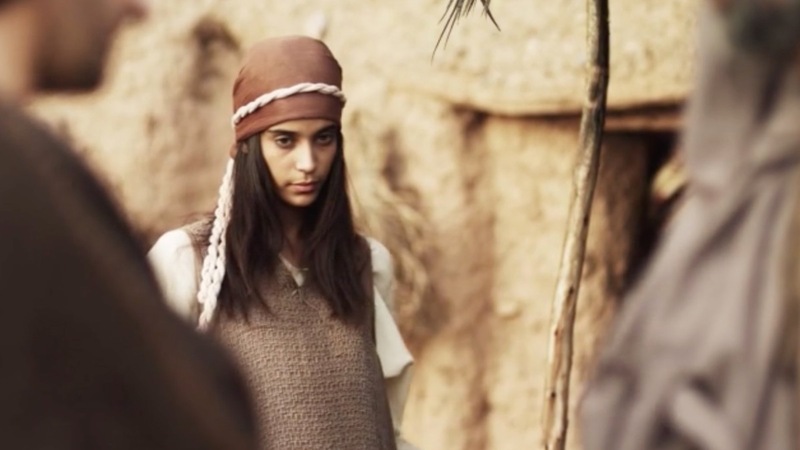 [CONVICTION] The story of Jesus' birth is dangerous and life-changing. If we choose for Jesus to be born in us and for us to be born into his family (John 3:3-7; Titus 3:3-7), then like Mary, we need to know that our discipleship will change everything about our lives. We will walk unknown roads, but with a certain destination. We will face unpredictable challenges along with glorious opportunities. We will face possible rejection from family and friends, persecution from haters and opposers while trusting in Jesus’ promise of a forever family. Most of all, we will set out on a journey with Jesus — a journey that should never be boring. This journey will be filled with the adventure of creating a new world — God’s kingdom — envisioned by the Savior who has gone before us. Like Mary, we don't know fully what we are committing to do, but we know that our ultimate destination is Jesus (Colossians 3:1-4). For us, like Mary, Jesus is enough. So, let’s join Mary and cry out, "Be born in me. Make my life and my heart your Bethlehem. Take my future and lead me to the places you want me to go and to the people you want me to touch. Lord Jesus, be born in me!" If you cannot view this video, go to YouTube and view it there or find the words to this song below.[SONG]. We must not relegate the birth of Jesus to a sentimental and seasonal children's story. [NOTE] Paul's list of hardships and suffering (2 Corinthians 11:21-28) does not include his latter imprisonments, beatings, and sufferings in the last years of life. In all likelihood, this list is less than half of all he suffered in his "labor pains" experienced in bringing the good news of Jesus to the lost all over his world. [CONVICTION] We must not let the gritty reality of Jesus' birth be sentimentalized into the myths that have culturally encrusted Christmas with Rudolph, Frosty, and Santa Claus! "Jesus, Be Born in Me" by Phil Ware is licensed under a Creative Commons License. Heartlight encourages you to share this material with others in church bulletins, personal emails, and other non-commercial uses. Please see our Usage Guidelines for more information.